RASSA’s management committee includes predominantly solicitors, barristers and migration agents with many years of experience in pro bono organisations. Taruna is a barrister at Murray Chambers. She practices mainly in the areas of general civil, commercial and administrative law. Before joining the Bar in 2011, Taruna worked at a boutique commercial firm specialising in large scale insolvency matters, and in constitutional law at the South Australian Crown Solicitors Office, where she was the Research Assistant to the Solicitor-General. In 2007 Taruna completed a Master of Laws at the University of Cambridge, where her research focused on the indefinite detention of people seeking asylum. Taruna is a former President of the Women Lawyers Association of South Australia, and a member of the Women at the Bar committee of the Bar Association of South Australia. She is also a director of Cambridge Australia Scholarships Ltd.
Taruna first began volunteering with RASSA as a law student, and has served on RASSA’s board in various capacities since 2002. Emily is the Deputy Chairperson of RASSA, and has delegated responsibility for the voluntary clinics run by RASSA. She is a solicitor and registered migration agent. 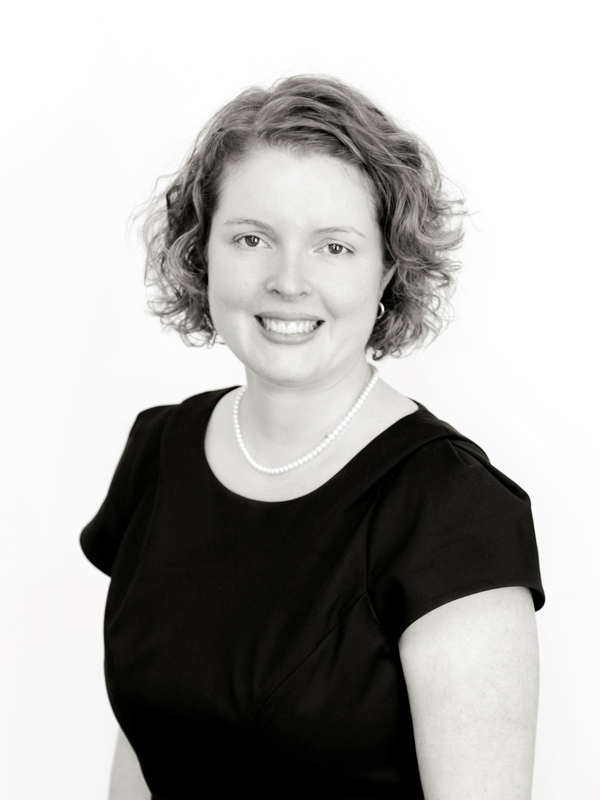 Emily practiced in migration law at the Legal Services Commission of South Australia from 2010 to 2015, with a year spent as a volunteer for an International Non-Governmental Organisation in Bangkok, Thailand providing legal assistance to urban refugees and asylum seekers from 2012 to 2013. Emily now practices in the area of civil litigation for Camatta Lempens Lawyers. She has a strong interest in public interest litigation, administrative law and governance. She has been a member of community boards in the past, and has been a member of the management committee of RASSA since 2011. Emily is also a member of the Human Rights Committee of the Law Society of South Australia and the Women Lawyers Association of South Australia. Emanuela is an accountant working in mergers and acquisitions for a large accounting firm. She has more than 10 years experience in both not-for-profit and commercial finance. She has a particular interest in financial and regulatory compliance. She also holds a law degree from the University of Adelaide. Emanuela joined the RASSA board in October 2016. Jessica is a Senior Policy Officer in government, and has previously worked in local government to increase the capacity, well-being and resilience of communities. She has worked for Darwin Community Legal Service, and traveled across the Northern Territory to provide legal information and resources to the community. Jessica supported refugees in Darwin Airport Detention Centre to share their stories through art, and delivered community legal education in Berrimah Correctional Facility. She completed a placement at Welfare Rights Centre and an internship with Flinders Legal Advice Clinic. She has experience in paid and voluntary capacities in the community legal and local government sectors and has completed studies in law and public policy at Flinders University. Jessica has an interest in systems change, social policy and law reform. Jessica joined RASSA Management Committee in December 2017. Emma is a solicitor at Camatta Lempens Lawyers, practicing mainly in commercial, industrial and general civil litigation law. Emma has studied human rights and international law overseas with a focus on refugees and internal displacement of minority groups. She has worked in the Commonwealth Human Rights Initiative in Ghana where she, amongst other civil rights based matters, also dealt with the influx of refugees in North Africa. Emma is a Director of a number of charities and also assists not-for-profit organisations nationally and internationally with governance and compliance related matters. She is currently working with former refugees who we can now proudly call Australians in setting up a sustainable health initiative in South Sudan. Emma first joined RASSA in 2011. Susannah is a Senior Lecturer in Australian Administrative Law at Flinders University of South Australia and is a supervising solicitor in the Law School’s Clinical program. She holds a Doctor of Juridical Science (Monash 2009) as well has over 12 years’ experience as a practising lawyer. Prior to transition to academia in 2010 Susannah was a Manager at the Public Interest Law Clearing House in Melbourne where she served for 7 years in various roles including as founding coordinator and Principal Solicitor of the Seniors Rights Legal Clinic. She has a particular expertise and interest in government decision-making affecting refugees, migrants and older people and the experience of these groups in their interactions with the law. Susannah joined the RASSA Board in February 2017. Michelle is a Legal Officer at South Australian Native Title Services. Michelle has five years’ combined experience in the legal advisory and international and community development sectors both in Australia and abroad. In 2010, she worked in Vientiane, Laos as a Legal Advisor as well as being contracted to provide consultancy services for not for two profit organisations, advising as to foreign investment and the legal registration options for a capacity development facility, including governance implications and organisational structure. Michelle has since worked in Project Management, delivering projects on behalf of a range of stakeholders including DFAT. Michelle has re-entered the legal sector and now delivers legal, policy and strategic advice to Aboriginal Corporations following determination of their native title claims. She specialises in governance and compliance, working to ensure that corporations are meeting their legal obligations, as well as helping them to manage their rights and interests in relation to native title. Michelle joined the RASSA board in November 2015. Mitch is a lawyer and registered migration agent with MSM Legal. Mitch has been practising solely in immigration law since 2013 and assists in all areas from applications to appeals to the High Court, with a particular focus on complex family visa issues, employer sponsorship and compliance, cancellations, and merits and judicial review. While completing a double degree of Law and Behavioural Science at Flinders University, Mitch was a volunteer assistant for JusticeNet, and now assists with migration matters referred by this service for pro bono advice. Mitch became involved with RASSA in October 2015 as one of the migration agents assisting with the first weekend clinic organised as part of the launch of the Migration Assistance Project. He joined the board in October 2016 and now serves on the volunteer and training subcommittee. In February 2018, he was awarded the Law Council of Australia’s John Gibson AM award for the Young Australian Migration Lawyer of the year for 2018. Eliza joined the RASSA board in April 2018. Fabienne joined the RASSA board in December 2018. Amber joined the RASSA board in December 2018.